© 2019 Oskar O.K. Strom. Party Fighting Game -Released 1/23/2018 for PC! Coming to Switch/PlayStation 4/Xbox One in 2019! 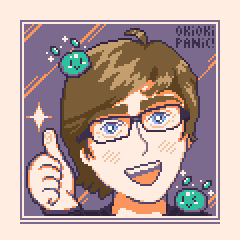 Available on itch.io, Humble, and Steam! 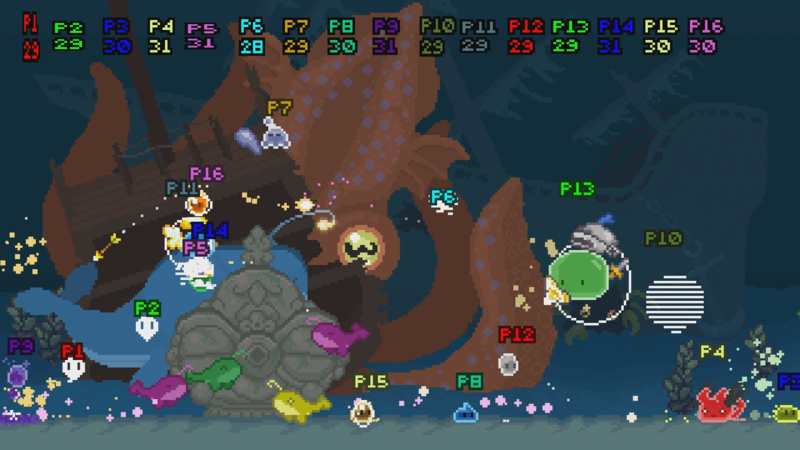 Super Slime Arena is a 16-bit style, party fighting game I worked as the co-designer and solo artist/animator. It is the first release from my indie game company, JellyTeam, which I founded in 2017 with two college friends. We are still working on the game in our spare time and plan to release a story mode and other single-player content. Coming to consoles in 2019! The game began as a class project I worked on with Mark Trueblood at Northeastern University in Boston. Our goal was create a fighting game centered around accessibility and variety, opting for an easy-to-learn, two button control scheme (jump and attack) given depth through rich character diversity and some unique quirks. Our friend Liam Fratturo joined the team later, focusing on online multiplayer and UI programming. 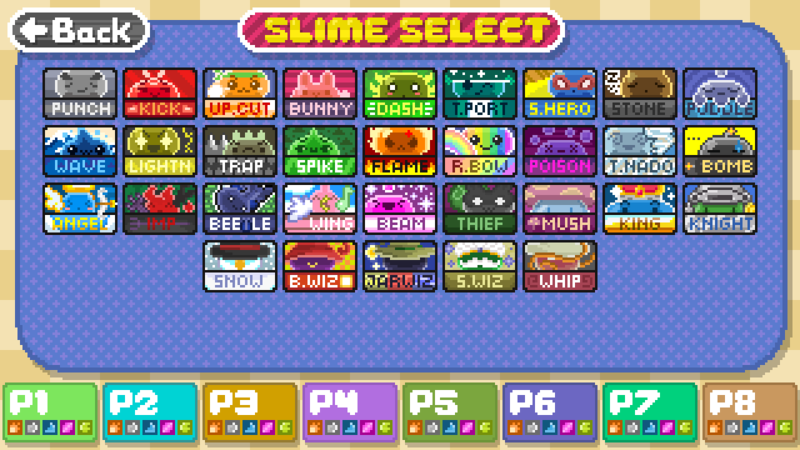 Super Slime Arena also has robust controller system allowing for native support ranging from guitar, fishing rod, and bongo controllers to nostalgic classics of the past and modern standbys. This was both a reflection of our goal for accessibility, particularly for players with disabilities who might require a custom setup, and proved to be attention-grabbing at conventions. The game also has no set limit on the number of players, further expanding player choice and potential for chaos! As a game designer, I focused on creating interesting matchups with characters that each felt unique but also familiar and easy to understand, and game modes that offered variety while still fitting in with the core systems. Particular attention was given to the user interface to support large player numbers and keep players in the loop while constantly changing characters. 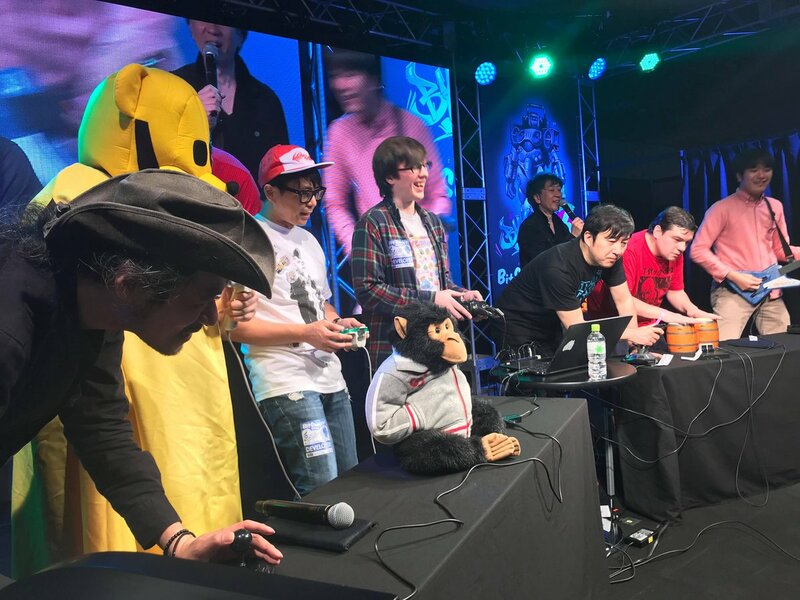 In 2018 I was privileged to be part of BitSummit in Kyoto where I showcased the game on stage with famous designers Suda51, Swery, Tak Fuji, and Koji Igarashi, pro fighting game player Kane Blueriver, and others! 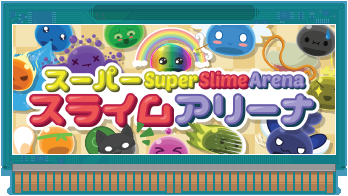 At BitSummit we met with DANGEN Entertainment of Osaka who will be publishing Super Slime Arena on all major consoles worldwide in 2019!